After the death of her husband Hugh, London nurse Lia Barrows returns to Grantwood where she spent all her childhood holidays in her grandmother’s cottage. They were a happy bunch of five, fifteen years ago, and Lia has lost contact with her friends, except for Andrea Bonell. Andrea became a doctor in a London hospital. Her sister Paula married Lia’s first lover Duncan Porter, and the two of them started a successful restaurant in Leicester. They have a daughter, Madison. Colin Freeman became a Leicester policeman and is happily married. Recently, Paula Porter has been killed in a car crash. Lia’s grandmother has died and bequeathed her cottage to her only grandchild. To recover from Hugh’s death, Lia hopes the cottage’s quiet solitude will help her heal. Duncan Porter comes to look for her, and brings along all the memories of their teenage romance. Lia has told no one – not even her best friend Andrea - that she became pregnant with Duncan’s child, a little girl, and gave her up for adoption. It has cost Lia dearly, because she was diagnosed with anorexia after the birth. The loving devotion of her grandmother helped Lia overcome the consequences of that horrible disease. Lia grew up and became a nurse, and married Hugh, an elderly widower, with whom she was happy until he died from a heart attack, to leave her a well-to-do widow. Now she and Duncan meet again, and the old attraction flares up again. They become lovers during a journey to France, when Duncan makes his annual survey of wineries. Yet not only is the old flame of forgotten passion rekindled, but also the buried memories of loss and sorrow rear their ugly heads. Memories of the reason why Lia never returned to Grantwood before. Of the moment when she saw Duncan kiss Paula Bonell, minutes after he made love to Lia. So one thing is clear to Lia. During that lovely journey through Champagne and Burgundy, she needs to sort out her feelings for Duncan, and overcome all obstacles that arise along the way. Duncan seems to have equally suffered from Lia’s sudden disappearance, fifteen years ago. He gradually reveals what his life has been since they were teenage lovers. That he married Paula for her money, and endured their loveless marriage for the sake of their mutual business. That Paula refused to give him children. That Lia’s best friend Andrea also has loved Duncan for years, and that she has thrown herself at him after her sister’s death. And finally, that Duncan’s adopted daughter Madison is in fact Lia’s child. Lia chooses to trust Duncan and start a relationship so that they can raise their daughter together. On their last day in France, they learn that fourteen year old Maddy Porter has run away from her riding camp with a London boy, Aidan Forrester. They return in haste, to search for their daughter in London. At that moment, the unsolved issues of the past are beginning to try and dent Lia and Duncan’s newly found happiness. Maddy’s reason for fleeing from the camp was that Andrea told her about Lia, being the mother that gave Maddy up for adoption. The relief Duncan and Lia experience at finding their daughter unharmed and untouched, soon disappears when Maddy refuses to accept Lia in her life. Overcoming Maddy’s rejection will be Lia’s first and foremost priority. Furthermore, there is also Lia’s twisted relationship with her distant parents, Richard and Margaret Beaumont. Although they stood by her in her ordeal through pregnancy and birth, Lia has never forgiven them for having forced her to give up Maddy. Yet there is also Andrea’s hatred against Lia, a feeling that she has cultivated for years. Andrea has known all from the start, but she has kept it from Lia, hoping to gain Duncan’s love after Paula’s death. She seeks revenge and finds it by setting fire to Lia’s cottage, and by shooting Duncan before killing herself. Lia and Duncan survive the fire by mere seconds. When finally everything starts being sorted out, there is one last threat. Eileen Bonell wants revenge on the couple for them being responsible for Andrea’s death and Paula’s misery. She attempts to kill Lia and destroy Duncan’s life’s work by gaining financial control over Panache, the Leicester restaurant the Bonell money started. With the help of their friend, Inspector Colin Freeman of the Leicestershire Constabulary, Duncan and Lia overcome this last obstacle . They marry and start their life together with Maddy. 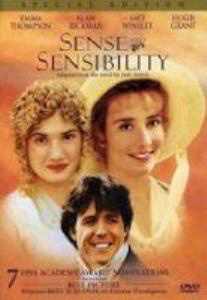 This is the story of Margaret Dashwood, the youngest of the tree sisters from Jane Austen's novel 'Sense and Sensibility'. 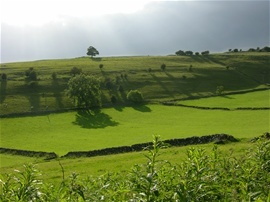 Her sisters have married and Margaret - now twenty years old - takes care of her mother at Barton Cottage on theestate of Sir John Middleton in Devonshire. Margaret is lonely. She longs to find her won soulmate, just like her sisters did. There is not much money, and Mrs Dashwood is a spenddrift who lives in a fantasy world, where she is still the mistress of a large estate. Margaret is desperate to find a way to make money for the both of them. She loves sketching the beautiful moors, and hopes to sell them, one day. 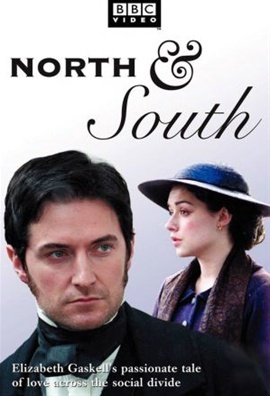 Elizabeth Gaskell's story 'North & South' has been succesfully adapted in a 2004 BBC mini series, starring Richard Armitage as John Thornton and Daniela Denby-Ashe as Margaret Hale. My own story continues where John and Margaret board the Northbound train to Milton. The DVD can be ordered at Amazon for a song.